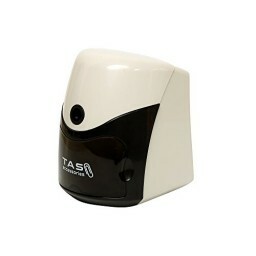 Do you need a dependable pencil sharpener that you can rely on for years to come? 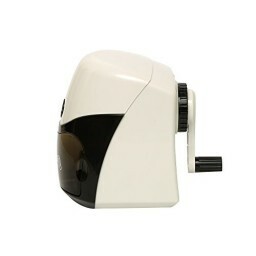 Do you need a dependable pencil sharpener that you can rely on for years to come? 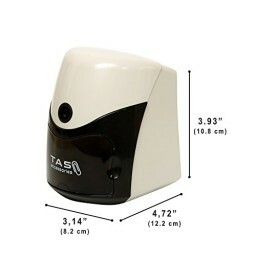 Are you tired of all the problems you get from your battery operated sharpener? 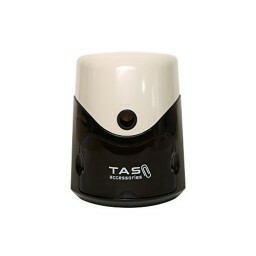 We have found your SOLUTION: TAS Accessories Manual Pencil Sharpener! See the pictures above and notice the sleek, shiny, plastic case. COMPLETELY PORTABLE! No mounting or drilling required. This unit includes a heavy base that sits firmly on your desk. Easy enough for kids to use! ADVANCED MECHANICAL DESIGN! Effortlessly undull your pencils with our auto-suction feature. Crank clockwise to bring the pencil in. Then reverse to remove. Simple and precise! 2 COLORS TO CHOOSE FROM! Choose from red, black, or blue models. Buy one for yourself at home or gift it to the artist in your life!